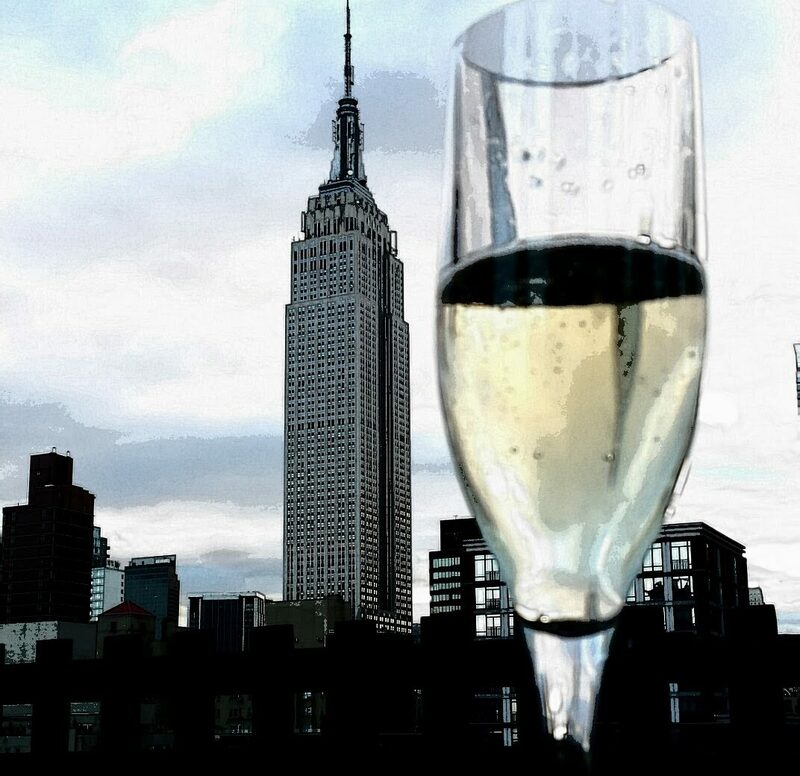 New York is full of wine bars, over at Dr. Vino’s wine blog there is even an map of the dizzying array of places to tip a glass or two. I admit I’ve been to more than a few but most don’t lure me downtown on a chilly fall evening. 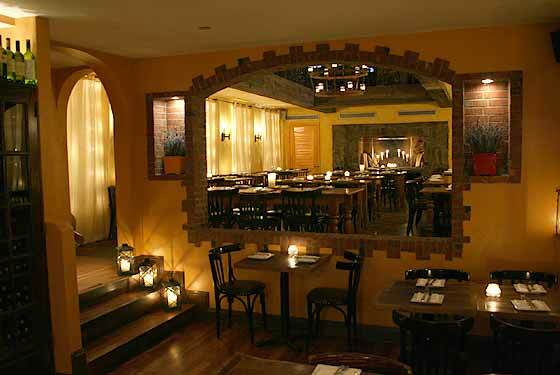 However Alta, a little gem of a place in the West Village is worth a trip from anywhere. Making plans with an old friend for drinks I wanted to pick a wine bar that was both cozy and full of great wine choices. Considering she wanted to meet downtown and also do tapas that narrowed the choices a bit and we settled on Alta on 10th street. My previous visit to Alta was brief but I hoped this was still the great find I remembered. I actually just stumbled upon it on the way home from a visit to Bonnie Slotnick’s amazing cookbook shop, also another great foodie find. Wandering by the door that is a step down from the street I peeked in to find a long inviting bar with candles burning everywhere and a large display of rose from far and wide. I was in summer wine heaven! I excitedly sent my rose partner in crime Karen a picture and we planned to visit soon but it never happened. On this visit I checked out the wine list online before I arrived and was happy to see so many great selections. Although Alta calls itself a tapas bar there is a lot more than just Spanish wine and traditional tapas offered. A large list of wines by the glass and bottle features selections from Italy, Spain, France and a smattering of unusual bottles from Switzerland, Austria, Greece and Germany. Many bottles are in the very reasonable $35-50 range with a stellar selection of splurge wines if your so inclined. For nibbles the large list of small plates includes everything from the standard olives/almonds to more exotic offerings, for $440 you get the whole shebang or 45 different dishes. I arrived early to a full but well attended bar and chose to start the evening with a Markowitsch Rose, 2010 made from a blend of Zweigelt, Blaufrankish and Cabernet Sauvignon. Dry but full of rich ripe berry and cherry it paired well with the fried goat cheese and lavender honey I ordered. 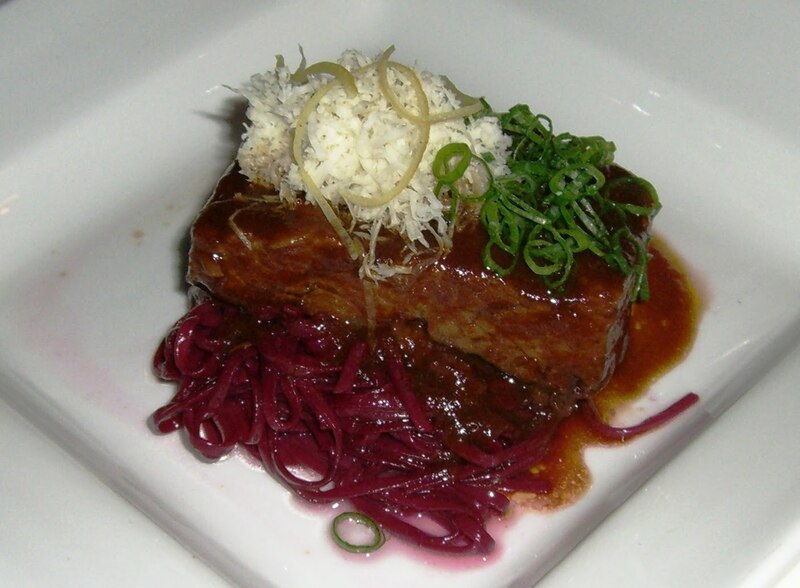 According to yelpers it was the not to be missed dish on the menu and it didn’t disappoint! When Jude arrived we selected a bottle of Taupinot Merme Bourgogne Passetoutegrain, 08, a fruity but interesting blend of Gamay and Pinot Noir. It was the perfect wine to go with the dishes we ordered. As we talked and caught up with each others lives we feasted on hen of the woods mushrooms roasted with sea salt, grilled octopus and an incredible short rib dish over beet pasta that was my favorite dish of the evening. All the while our charming server checked in on us and even offered up a small pour to finish our food with. All in all this is a great, warm, inviting place to enjoy a glass of reasonably priced excellent wine and food. Put it on the list of must visit wine bars in NYC. Previous A tale of Italian food and wine pairing, past and present! Recipe for Frico!